Born This Way is the title song of the album of the same name by Lady Gaga. It is the first full length follow up to her monster of an album, The Fame . As usual, Gaga wrote all the music and lyrics herself. Elton John was one of the first people to hear Gaga's song before it's release in 2011 and said "will completely get rid of Gloria Gaynor's I Will Survive. This is the new I Will Survive . That was the gay anthem. This is the new gay anthem. Actually, it's not a gay anthem - it can apply to anybody." It's not surprising lyrics of Gaga's Born This Way make direct reference to homosexuality as Gaga has herself been a popular advocate for gay rights. In 2010, she had her website redirected to a different website which asked the US military to abolish 'their don't ask, don't tell policy'. Apparently when she wore her now infamous meat dress, this was a protest against this policy. The campaign was a success, the policy was removed by Barrack Obama in late 2010. 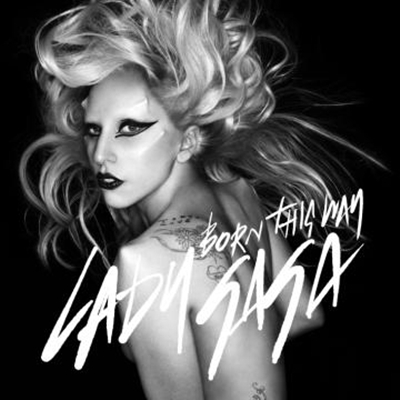 Upon release, Born This Way true immediate comparisons with the singing style of Madonna and in particular the singing style found on Express Yourself . Check out the lyrics to You and I. And if you're a Green Day fan, the lyrics to new single, Bang Bang. I love how gaga loves us all. Cant wait either! BTW is going to rock. BIggest album of the year, guaranteed! has any one heard hello hello yet? don't be a drag be a queen!